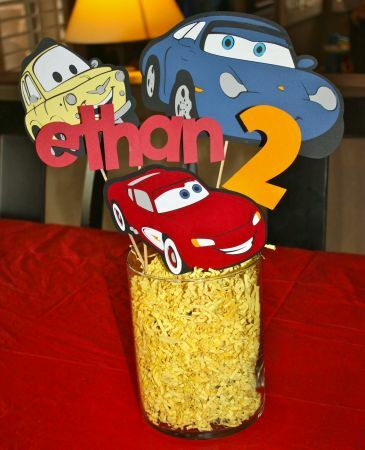 The centerpieces are the complement of the decoration of a children party and although they are often left out, are actually the elements that will grab everyone's attention of guests when they are seated at their tables. 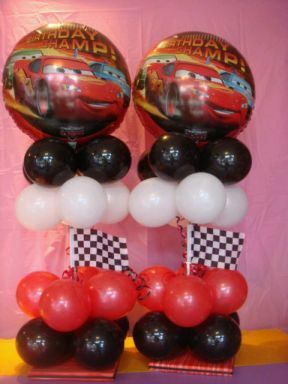 They can be placed at the head table, but also suggests placing on each table, so that in this way it becomes apparent that you had to look out for the care of the little things, all with the aim of providing a good birthday party. 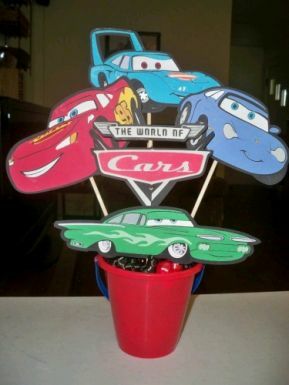 The centerpieces can be used to put candy, chocolates, popcorn, or whatever you see, can be made of different materials and decorated in many ways, actually depend on the type of overall decor of the place, and your imagination. 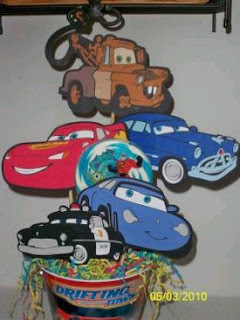 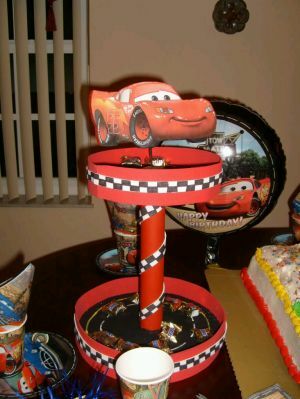 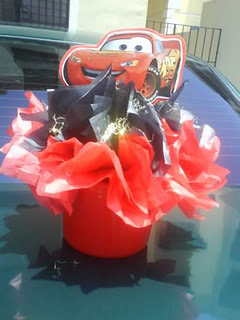 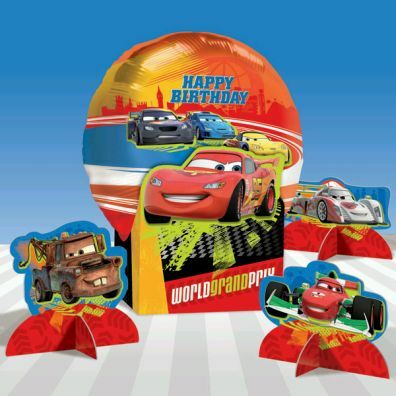 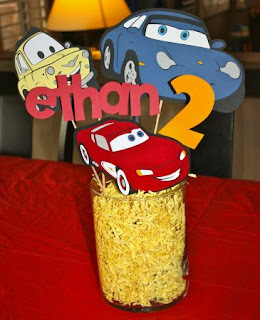 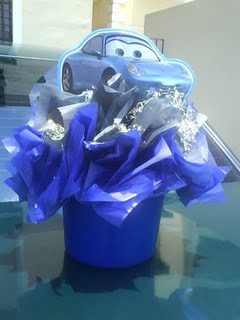 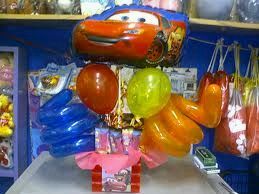 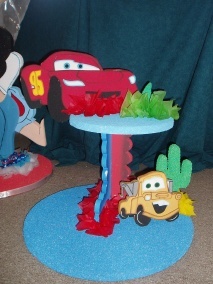 If your child party is decorated with the Cars theme characters, here is a selection of Centerpieces, sure you'll enjoy. 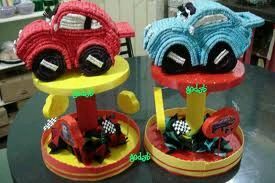 I hope these ideas will have been useful.